Since August, any new supply of lava has been minimal. Thus while there is evidence that the eighteen-month long pause in lava dome growth may be coming to an end, it has not happened yet. The most troubling event, in their minds, is the new activity at the Gages Wall vent, which means that new dome growth might be possible further west into the Gages Valley (marked green on the map below. The upshot? Plymouth will be put into much greater danger of pyroclastic flows produced by dome collapses. 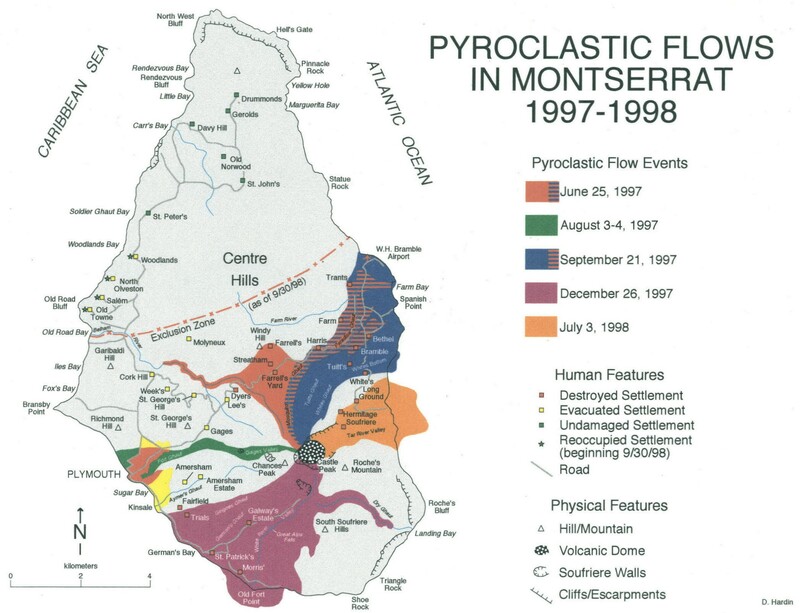 Most of the pyroclastic flows travel to the north and south of Soufriere Hills’ summit, so a change in the dome to focus down the Gages Valley would change the hazard prediction game quite a bit at Soufriere Hills. UPDATE 10.9.08: This photo is not from the current eruption (see the comments below), so disregard any comments I might have about the current state of activity. Contrary to some of the earlier reports, the eruption at Soputan in Indonesia might be more impressive than previously though. Pictures of the eruption (above) show a fairly healthy eruption column coming from the volcano, although it is hard to tell if the image is just an eruption column or a column with an associated column-collapse pyroclastic flow heading down the far side of the volcano (in the picture). 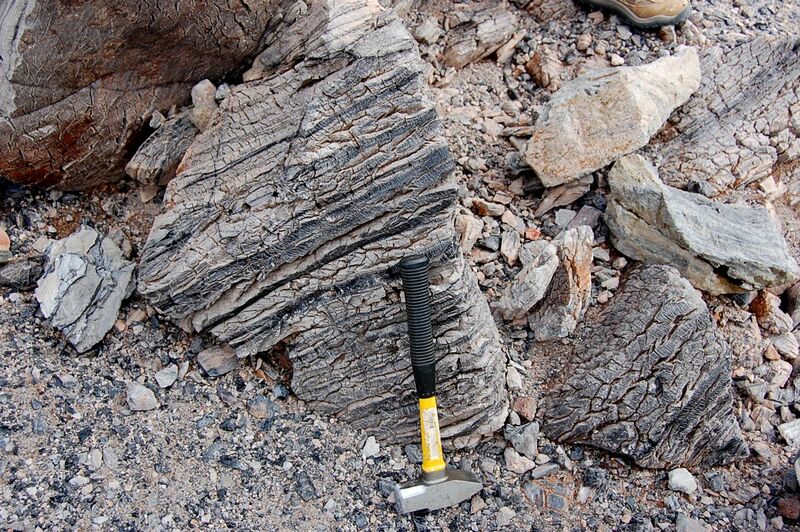 The former would imply a vigorous supply of gas-rich magma, the latter might imply less magma in the conduit with an eruption rate less than is needed to support the ash column. In any case, Indonesia officials are evacuating a 4-km radius from the volcano as it continues to erupt. Two volcanoes on the island of Luzon look like they might be primed for activity, at least according to PHILVOLCS, the Philippine Institute of Volcanology and Seismology. Both Mayon and Taal (above) are showing signs of increased seismicity. Only Mayon is actively steaming right now and the volcano had a mild ash eruption on August 10 as well. Officials in the Philippines have both volcanoes on Alert Level 1 (potential activity). 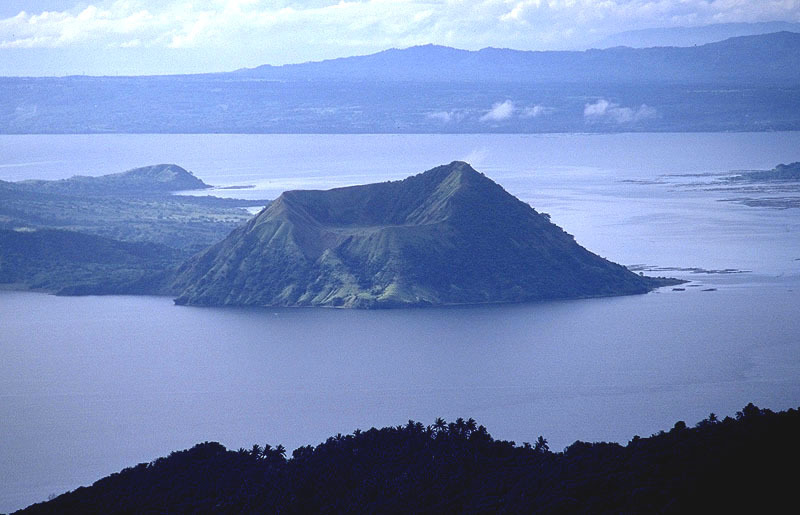 Taal is actually part of a bigger system that occupies a 15 by 20 km caldera. 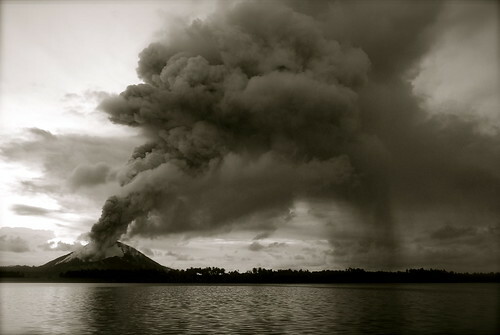 The island where most historic activity has occurred is made up of a series of smaller stratocones and the volcano itself is one of the more dangerous in the Pacific Rim. The last eruption of Taal was over 30 years ago, but it has a long history of eruptions that produce pyroclastic flows and lava flows. 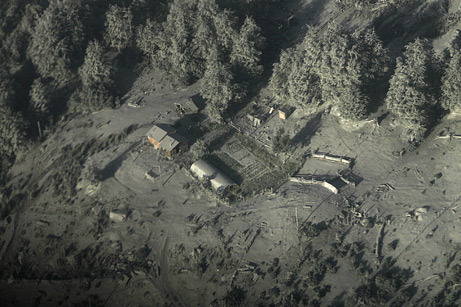 Luckily, unlike the eruption in 1997 that killed 17 people, there were no reported fatalities or injuries related to this dome collapse event. The dome collapse itself is merely the failure of the oversteepened lava dome at the summit of Soufriere Hills but the avalanche becomes a pyroclastic flows because the material in the dome is still hot and mixes with whatever volcanic gases and ash are being expelled from the vent as well. This is the modus operandi of Soufriere Hills – at least in the last 10 years of eruptions at the Caribbean volcano.